A two and a half year-old child born with HIV in Mississippi will lead a normal life without the threat of the virus, thanks to doctors in the state. It’s a big important development. Check it out. Close up of the HIV virus at work. Doctors say that the child has been “functionally cured,” which mean sensitive tests show no virus in the child’s body, although it’s likely there are still tiny trace amounts. How was the cure achieved? Through aggressive HIV treatment from initial exposure to the virus – in this case, at birth. And results came fast: within a month after starting treatment, HIV was already barely detectable in the baby’s blood. 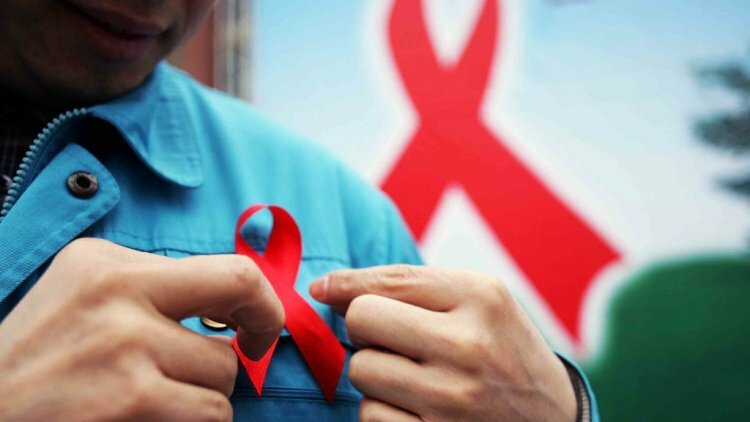 Scientists are astounded at this discovery, and it could mean big things for the future of HIV research. Does it mean that a cure has been discovered? Not quite. But it’s very promising, and it does give scientists good information to go on, especially when it comes to children. A little over 100 children in the U.S., and more than 300,000 children in Africa, are infected with HIV at birth. For them, this breakthrough could make all the difference. Over 1 million people are estimated to be infected with HIV in the U.S.
One in five who are HIV positive in the U.S. are unaware of their status. By the way, remember those government budget cuts known as the sequester? It’s expected to cause a drop in HIV testing and treatment in the U.S. In a nutshell, HIV is the virus that causes AIDS. While our immune system can fight off most viruses, it can’t fight off HIV. The virus copies itself and then destroys cells that are crucial to fighting off infections. Over time, this can cause the AIDS virus. Ironically, what HIV/AIDS does is destroy the immune system, leaving the infected person vulnerable to infections that they would normally be able to fight off. And if you’re infected, you may not exhibit any symptoms for years, so often the only way to find out if you have it is to get tested. HIV, like AIDS, is spread through bodily fluids, most often through sexual contact. If a pregnant mother is infected, the child she’s carrying has a high chance of being infected, too. One person who helped educate the U.S. about what HIV and AIDS really were was an infected teenager named Ryan White. You might know a bit about the AIDS crisis from the musical Rent – several of the characters are struggling with infection and the knowledge that it will inevitably kill them. But today, being HIV-positive is not a death sentence. Those infected can take rounds of medicine that will keep the virus at bay and are living longer than they did during the height of the HIV/AIDS epidemic in the 1980s. Still, the idea that HIV may actually be pretty much curable – especially for babies – is getting a lot of people excited. If HIV can be cured, just imaging what else is possible.